Chemists led by Nobel laureate K. Barry Sharpless at The Scripps Research Institute (TSRI) have used his click chemistry to uncover unprecedented, powerful reactivity for making new drugs, diagnostics, plastics, smart materials and many other products. The new SuFEx -- Sulfur Fluoride Exchange -- reactions enable chemists to link molecules of their choice together using derivatives of a common commercial chemical considered essentially inert. The Sharpless team made this chemical reliably and predictably reactive. Astonishingly, acid-base constraints are rarely a concern, though they are central to nature's chemistry and an enormous hurdle for chemists. The stabile linkers are also non-polar and can enter cells, so have potential for crossing the blood-brain barrier. "This is a new, emergent phenomenon," said Sharpless, the W.M. Keck Professor of Chemistry and member of the Skaggs Institute for Chemical Biology at TSRI. Click chemistry, conceived in the mid-90s as a method for discovering new and improving existing chemical reactivity, became universally used in the chemical sciences after the 2002 discovery of copper-catalyzed azide-alkyne cycloaddition (CuAAC). Now SuFEx is the second "perfect" click reaction to be discovered at TSRI. 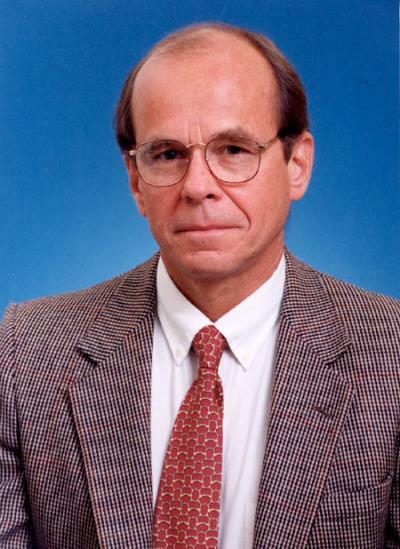 Sharpless shared the 2001 Nobel Prize in Chemistry for his discovery and development during the 80s of asymmetric catalytic reactions. Nature routinely makes "handed" molecules like DNA, which is like a spiral staircase you enter on the left, but chemists could not reliably make left- or right-handed molecules. The Sharpless asymmetric reactions gave chemists that gift with general reactions that made either left- or right-handed products at will. "Sulfer fluoride compounds are known for their high stability, yet we eventually realized that there are ways to make them usefully reactive -- the speed and varied reaction environment it tolerates is amazing," said Jiajia Dong, a research associate at TSRI and lead author of the new report. "We believe that we can, with near-perfect control, use sulfur fluorides as general connectors for joining molecular building blocks," said Dong. The reaction easily creates polysulfate plastics, a whole class of unexplored of materials. Polysulfate plastics may, for example, have properties to rival or surpass those of popular, ubiquitous polymers like polycarbonates. Strong, resilient and transparent, polycarbonates are annually produced in the millions of tons and are found everywhere in consumer products, from DVDs to the cockpit canopies of F-22 Raptor jets. Yet polycarbonates "hydrolize" -- break down in water -- rather easily. A consequence is the much-publicized leaching of bis-phenol-A, the principal building block of all polycarbonates and an estrogen mimic. Initial tests indicate this new plastic may be more resistant to impact and degradation than polycarbonates. "But this was just one demonstration of the technique," Dong emphasized. "The control and the selectivity that we have in this process mean that we can polymerize a wide variety of different building blocks."